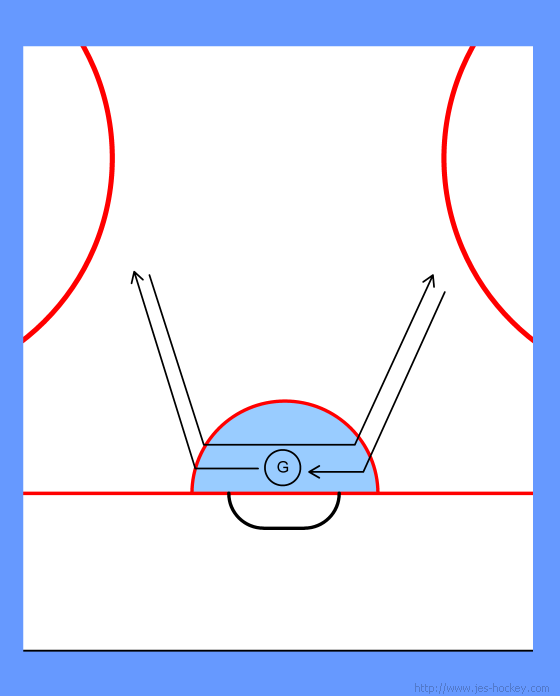 Letter drills are easy for the goalie to remember and can keep the goalie busy while the coach's attention is elsewhere. The goalie only has to remember U-V-W-X-Y. All letter drills should be performed for about 30 seconds at a time and as fast as is possible while maintaining proper technique. Goalie starts on the post. Goalie moves out towards the face off dot, then moves back to the post. Goalie shuffles post to post. Then repeats on the other post.